Q: My family moved to Mobile from Tennessee several years ago and we loved it from the beginning. I am a plant person and have been especially excited about the number and variety of native plants growing on the Gulf Coast that are new to me. I asked about a beautiful palm-like plant in the Bird Sanctuary at Dauphin Island and was told it is called palmetto. Can you tell me more about this plant? A: The first time I remember seeing palmetto was also in the Dauphin Island Bird Sanctuary, where it was growing wild among many other native plants. Then my friend used it to decorate inside a home for the Dauphin Island Tour of Homes and it was a real wow factor. Since then, I have learned of many advantages to having it in the landscape. Saw palmetto (Serenoa repens) is a fan palm that gets its common name from the sharp, saw-like teeth on its leaves that can be painful to touch and destructive to clothing. Surprisingly, this is the most common palm in the United States. It grows as a shrub that can reach anywhere from two to seven feet, or as a small tree reaching from 20 to 25 feet, depending on the habitat. Although saw palmetto has been known to survive as far north as Georgia, it grows best in warm temperatures or humid subtropical climates. The average temperature range for the plant is from 25 to 97 degrees Fahrenheit. Average rainfall is 39-64 inches, and it grows well in shade or sun. It grows well in acidic soils, wetlands and sand dunes. This palm is known to be a great indoor plant because it only grows to four to six feet tall, is attractive, hardy, requires very little maintenance and typically has a long life. There are two methods used in propagating saw palmettos. The quickest way is by cutting rhizomes (a horizontal underground plant stem capable of producing the shoot and root systems of a new plant). 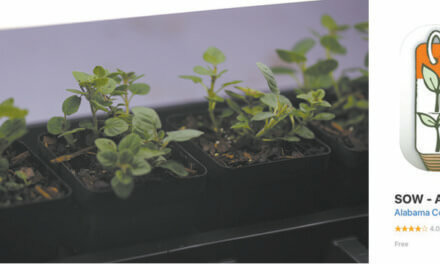 Propagators plant these cuttings in well-drained soil, watering often until the plants show signs of growth. The other method of propagation is by seed, but it can take years for saw palmetto seeds to germinate and begin to grow. Factors such as too much rain in summer can retard the growth further. 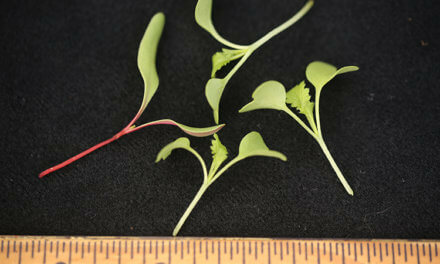 The plants can be purchased from nurseries but they have sensitive roots and do not transplant well. Repotting is usually unnecessary; if it is in a pot with enough space for its roots, leave it alone. When saw palmetto blooms, flowers are pollinated by insects and bloom from April through July. Fruits ripen from September through October and the seeds are dispersed by animals. 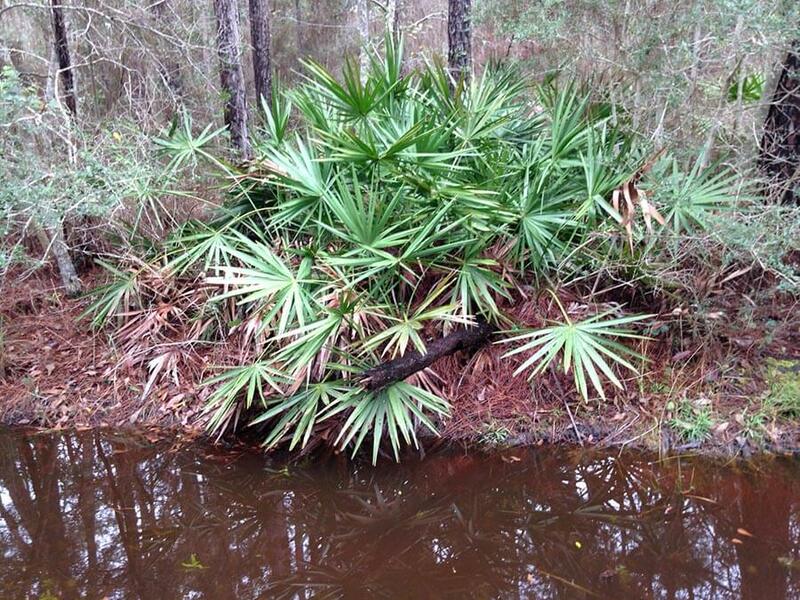 Saw palmetto is somewhat sensitive to salt spray, but it is especially resistant to fire, although the foliage is highly flammable. It often grows in sites that have burned, and it can resprout from root crowns and rhizomes following a fire. The plant recovers from fire very quickly, with cover returning to pre-burn levels within a year. This plant provides habitat for wildlife such as birds, sand skinks, mice and scrub jays. Larger animals such as deer, raccoons, foxes, black bear and feral pigs use saw palmetto fruit for food. Although the fruit has been reported to taste really bad, people and animals have eaten it throughout the centuries. Pioneers in the 1900s even used these berries to make soft drinks. Although it is grown mostly for ornamental purposes, more than 50 medicinal uses have been reported for saw palmetto extracts, including relief from whooping cough, alcoholism, bladder infections, urinary tract infections and enlarged prostate. An additional note about saw palmetto: it dries nicely and serves as a great grass to be displayed in vases and urns. Give it a try; you may love it too. The Mobile Botanical Garden plant sale last week included Serenoa repens cinerea (silver saw palmetto). If some were not sold, you should be able to buy them in The Market Place. Call 251-342-0555 for Market Place hours. So you see, this is a great all-around native plant. It’s beautiful and hardy, provides food, shelter and medicines, and it makes great South Alabama Christmas decorations.